Call our kind and polite customer support representatives right now. 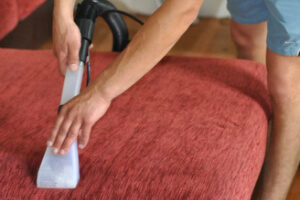 Ask for more information about our diligent and thorough upholstery and sofa cleaning process. Make an order for free right away! Just apply this phone number 020 3746 5234 at any convenient for you time! We will be happy to arrange our hassle-free service when possible for you. 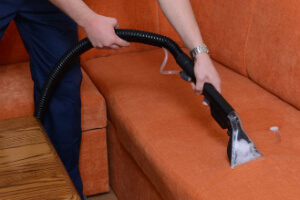 We are pleased to introduce you our consumer-oriented and skilled sofa and upholstery cleaning company Wapping E1. RA Sofa Clean has been on the market for more than ten years. During this time we have managed to acquire the most efficient cleaning tactics. With time, we also been able to invest in modern and luxury devices for deep and thorough sofa and upholstery cleaning procedure that requires nothing from a client to provide us. We bring everything and we ensure you excellent final outcome. The cleaners bring everything needed and you don’t have to buy us any detergents or tools. We use only organic and harmful products. The cleaners provide you with a free tip on sofa and upholstery maintenance per visitation. No stain can scare us and even the dirtiest or the oldest sofa is accepted by our professional company. We can remove all types of spots, including oily or machinery oily spots, spots made of paint or glue after renovations and home redecoration, red wine, blood, grass, ink, mud and etc. Besides, our best rated Wapping E1 upholstery and sofa cleaning company accepts all types of furniture: seats, stools, chairs, dining chairs, divans, sofas, decorative and antique upholstery and etc. We have the right formula for any upholstery or sofa material: linen, wool, silk, suede, leather, acryl, viscose. Don’t spend more time, but make a reservation for our top-notched sofa and upholstery cleaning service in Wapping E1 right now! Get a totally free quote today! Just give us a call on this phone number 020 3746 5234!